The GRAND PRIZE as voted on by the complete group of judges is INDIFFERENCE by Stefano Pesarelli – CONGRATS Stefano! An inspiring moment in time, a soulful and powerful image of innocence. The MPA is thrilled to announce this image as our first winner! “Realities you know, stories “around the corner” are often the best source of inspiration for a photographer. 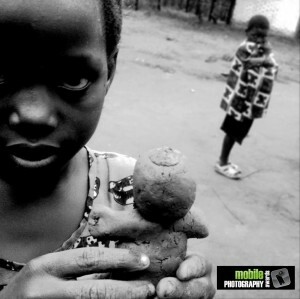 I was in Malawi, in a small village a few kilometers outside the capital city, Lilongwe, where I live. The rainy season was nearly over and the light perfect for a black and white photo. Annine was playing with her doll made of mud, prepared with great care in details; Vero on the background was looking at me protecting herself with a cotton cloth that “recalled” the same pattern of Annine’s T-shirt. These were the elements that drove me to take pictures. I stayed with them some time for some more shots. This picture was taken with an iPhone 3 Gs.